I heard an interesting fact the other day; the gums in an adult’s mouth make up the same surface area as that of an adult’s palm. If your palm was bleeding you would seek medical attention, why is it then that when a person’s gum bleed they think nothing of it? To ensure that your mouth is in the healthiest condition possible, I will outline some of the common causes for bleeding gums, and what you can do to stop this continuing. 1: The most common cause of bleeding gums is poor oral hygiene at home. This could be due to a lack or brushing or flossing, or that the current brushing or flossing is ineffective (see recent blog for flossing tips). Brushing 2x a day and flossing 1x daily is your best defence against a build-up of plaque (white, sticky material made up of bacteria, mucus and food debris), and the subsequent build-up of calculus (hardened plaque). If this plaque and calculus are left to rest on the teeth and gum line, bleeding will ensue. Gingivitis just means inflammation in your gums, and left without treatment can become a serious dental problem. The cause of gingivitis is plaque being left undisturbed for a long period of time. 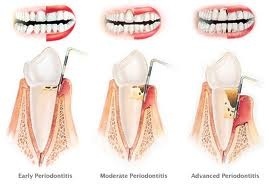 Fortunately, gingivitis is reversible following a dental scale with a hygienist. Because plaque is a soft substance, it can be removed with good oral hygiene, but because calculus (aka tatar) is hardened to the tooth it requires professional treatment. Of course being a teenager, pregnant or going through menopause won’t necessarily mean your gums WILL bleed, they may be slightly more susceptible to the bacteria within plaque than usual. This is due to fluctuations in your hormone levels during these changes. Pregnancy gingivitis is very common among expectant mothers, due to increase blood flow to your gums and other tissues. Seeing your dentist/dental hygienist for an additional cleaning at these high risk times is recommended, and a great chance to discuss any problems you might have. Of course regular brushing with a soft toothbrush and flossing daily will keep those bacteria at bay. 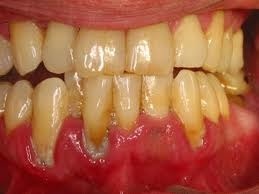 Untreated gingivitis can soon develop in to periodontal disease. Gingivitis is inflammation in the gums; periodontal disease is when this disease spreads into the tissue and bone that support the teeth. 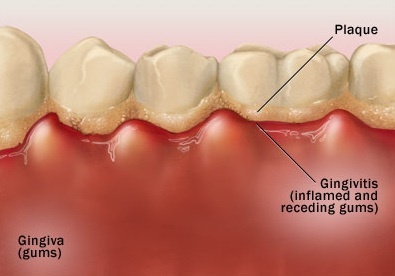 Where gingivitis may occur as sporadic bleeding, periodontal disease may cause the tissues to be red, puffy or rolled, bleeding, gums appear ‘looser’, tooth may move or pus may be noticed from around the gums. When pus appears between the teeth or on the gums, (not surprisingly) this is a bad sign, and can lead to loss of the supporting structures that hold the teeth in place. If this goes untreated, periodontal disease may spread throughout the mouth and you’re at risk of losing one or multiple teeth. More uncommon causes of bleeding gums stem from underlying medical conditions, and seeking medical and dental advice regarding this and your oral health is recommended. 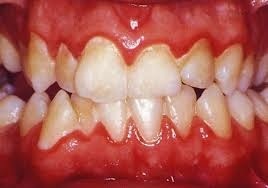 If your gums do start to bleed, this isn’t a sign to stop brushing or flossing. In fact, it’s the opposite! Flossing or brushing more in the problem areas may be enough to clear away the plaque deposit that causes the inflammation. However, if bleeding persists and whatever the reason for your bleeding gums may be, booking in with a dental hygienist is recommended. To avoid bleeding gums in the future, remember to practice good oral hygiene, eat a balanced diet, avoid smoking/excessive alcohol consumption, and attend regular hygiene appointments.